Part of my life has been dedicated to working overseas within the context of Christian mission, and I responded to Hollinger’s theses from within my family’s overseas experience. We served in the church overseas in the mid-20th century, when the post-World War II period was bringing dramatic global change that challenged the colonialism that had dominated during the previous four centuries. Our family spent fifteen years in the Philippines, a nation that had been within the Spanish orbit since 1517. The United States began its own colonial experience there with its victory over Spain in 1898 and its colonial administration of the Philippines in the 20th century. Thus dawned a new day for mission. Action was taken by the PCUSA for a name change from “Board of Foreign Missions” to “Commission on Ecumenical Mission and Relations;” a person in overseas work was no longer a “missionary” but a "fraternal worker,” and he or she was no longer “sent” overseas but “called” by the overseas church to do work that the church saw as a special need. Each “fraternal worker” was linked with a leader from the national church who was to be their primary partner and supervisor. The work to which I was called by the United Church of Christ denomination in the Philippines was in the field of industrial evangelism. Across Asia and in other so-called developing countries, the emphasis was upon growth in urban centers and in the industrialization process; the term ultimately developed for the field of work was urban industrial mission. 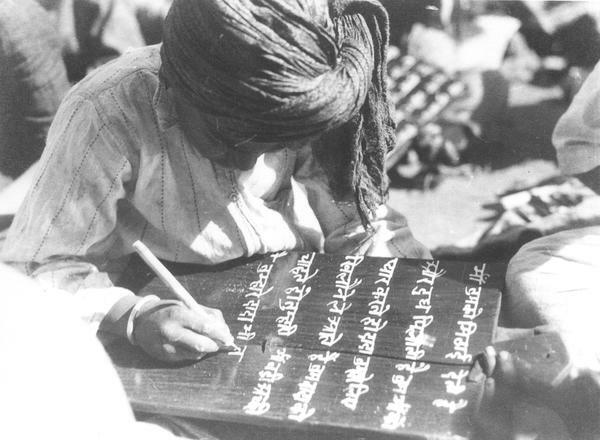 Our minds were on the social changes taking place in the developing world, with an emphasis on justice ministries. 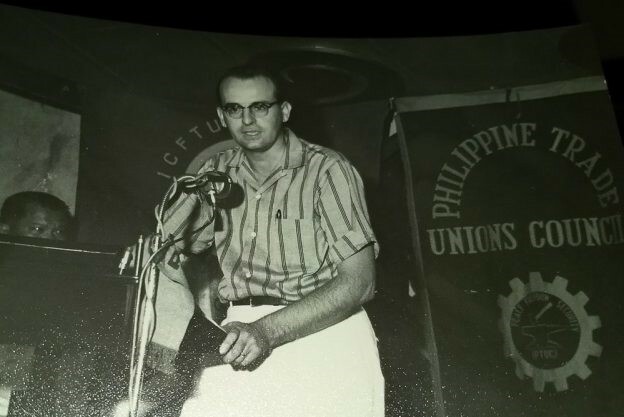 Richard Poethig at the Philippine Trade Union Council, Manila, circa 1964. Courtesy of Richard Poethig. 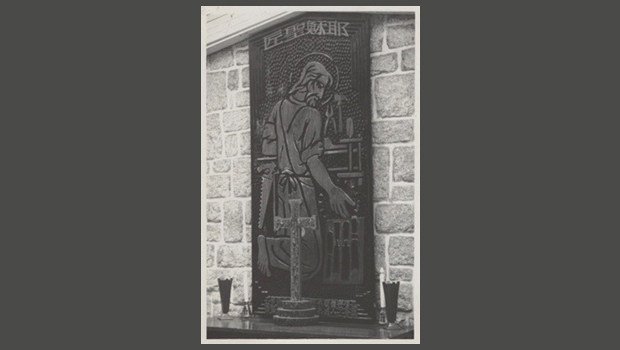 Cross-cultural friendships developed out of this cooperative work, bringing changes in the way the work was carried out and in the way these changes were communicated to congregations in the United States. As Hollinger points out, the new message of mission and the new mode of engaging in overseas work changed the thinking on mission within U.S. churches, dramatically altering the “colonial” emphasis that had been part of the mission message in previous generations. These changes in the Western churches' overseas mission took on a global meaning with the creation of the World Council of Churches in 1948. The representation of the churches in one global organization opened the door for the leadership of the former overseas mission churches on the world scene. In Asia, the ecumenical process accelerated with the creation of the East Asia Conference of Churches in 1957, later renamed the Christian Conference of Asia. The organization of a regional council of churches had a direct impact on how work among the regional churches was to be organized and supported, including the immediate recognition of just how important the growth of urban centers, and the force of industrial development, was to the people of each nation and their cultures. Church of the Holy Carpenter, Hong Kong. Photographed by Richard Poethig during an urban industrial mission trip, 1959. The changes in urban and industrial development hastened the cooperation of the churches globally in the field of urban industrial mission. The regional councils in Asia, Africa, and Latin America each had their counterparts in this area of social change. In the 1960s, a desk was created at the World Council of Churches in Geneva, Switzerland, that gathered stories, work examples, and cases of urban industrialization from these global regions. Those who worked in the mission field became change agents both in the work of urban industrial mission and in the consciousness of the countries in which they were citizens. In his writing Hollinger touches upon the way ecumenical churches reconsidered the meaning of mission in this current age and how that strengthened the sense of globalization within the congregations in the United States. Hollinger goes on to make the case that in the 20th century the attitudes of the missionary community, by their commitment to the people and the work in overseas communities, opened a new era of cross-cultural understanding. The acceptance of the traditions and the history of the nations in which missionaries lived and worked provided a new framework for their own lives. It was this view which they brought back to their own countries, including the United States. 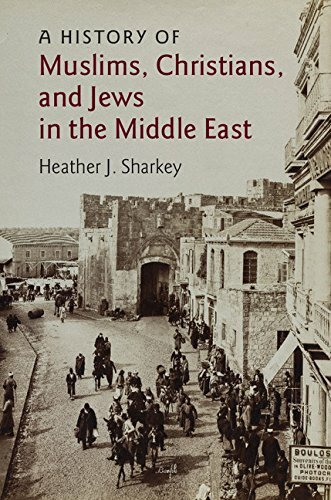 The missionary and the children of missionaries became among the strongest opponents of the racism and colonialism formerly associated with Christian mission. 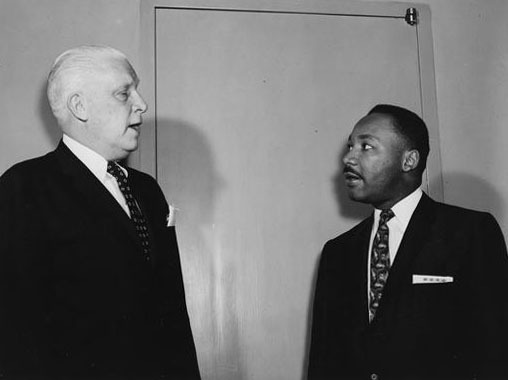 From 1957 to 1972, Rev. Richard Poethig was a Fraternal Worker for the United Church of Christ in the Philippines, working in the area of urban industrial mission. Learn more about Presbyterian involvement in urban and industrial mission via the "Mission Years" section of www.richardpoethig.com, and from Rev. Poethig's article in The Journal of Presbyterian History. Learn about recent publications by researchers who have worked with our collections. 8 hours 10 min ago. Today’s #HistoricalFigureFriday honors Reverend James Patriot Wilson. Born in 1769 in Lewes, Delaware Wilson went on to graduate from the University of Pennsylvania in 1788. He initially studied law and was admitted to the Bar but the unexpected death of both his wife and brother led him to a religious path. He was ordained as pastor of the Presbyterian Church in Lewes in 1804 and in 1806 he accepted a call to lead the First Presbyterian Church in Philadelphia. He resigned as a much celebrated pastor in the spring of 1830 before he died December 9th 1830. Our portrait of Reverend Wilson was painted in 1807 by none other than James Peale the younger brother of Charles Willson Peale. This oil on canvas painting represents one of the many large portraits James Peale completed after he shifted away from miniatures. To see more works by James Peale visit PAFA The Pennsylvania Academy of the Fine Arts or the Philadelphia Museum of Art.